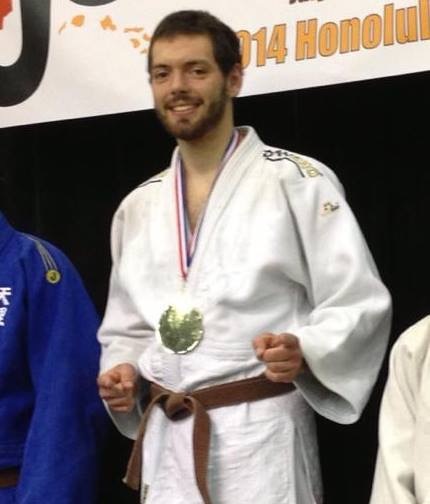 Last week, July 3-6, 2014, Kell beat 6 Black Belts by Ippon in Hawaii at the JA/JF Jr. Nationals - taking 3rd in the Jr’s at 73 kg, 1st in the Senior Brown Belts, and 4th in the Senior Black Belts. On July 17th 2014, Kell did both Uke and Tori portions of the Nage No Kata, and was Uke for Katame No Kata. - He has earned his Shodan. Rank conferred and presented by Bruce Toups, Seichidan and Gary Berliner Seichidan. It will be confirmed through the national organization. Paperwork to be submitted by Promotions Chair of Georgia Judo - Hap Wheeler.